Rich Renik, a native Chicagoan, has been involved with music since six years of age when he began accordion lessons. That love of music culminated when he landed his first radio job in Fairbanks, Alaska while serving in the U.S. Army in 1968. 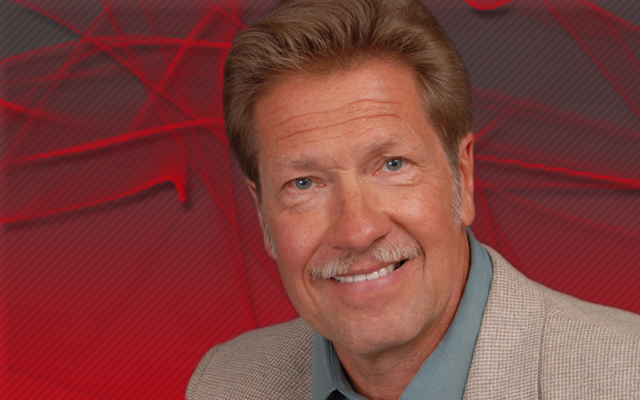 Since his honorable discharge from the service in 1970, Rich has been a fixture in Chicago radio with shows airing on such stations such as WMAQ-AM (NBC), where he performed for thirteen years. Additional on-air stints included the Satellite Music Network, Interstate Radio Network and participation in numerous television fund raising activities for Public Television, Muscular Dystrophy and the Easter Seals Foundation. For fifteen years, Rich was heard on Chicago’s – WUSN 99.5FM (US99), and now is proud to be on Your Hometown Country Station – WCCQ – playing all of the music you know and love! Rich has recorded two narrative record projects – a narrative album in Nashville, Tennessee and a single release of “Yes, Virginia, There Is A Santa Claus”, backed with “The Night Before Christmas”. All proceeds from the latter are donated to various charitable organizations every year. As a first time song-writer and producer, give a listen to his, Cheese Puffs and Whiskey performed by Iron Horse. Rich is also a published author. In 2004, Rich wrote a leadership book, entitled, “Engaging Employees in the Business of Success”, which is available on various inter-net sites – including Amazon.com.